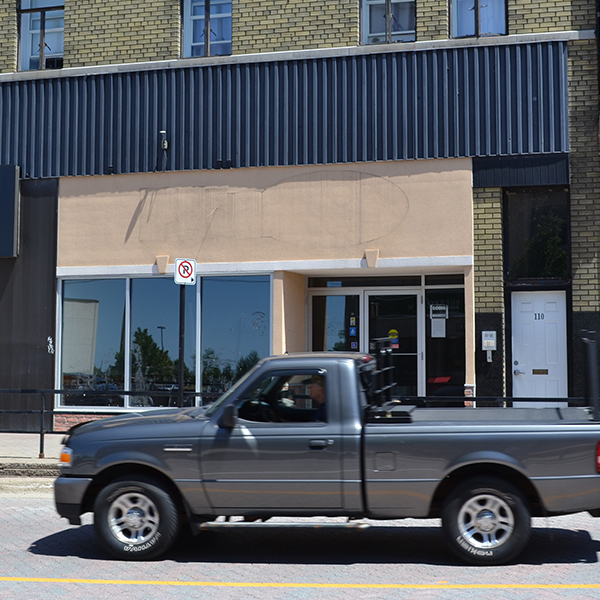 NORTH BAY — The downtown core just got a little deeper. Pita Pit, the Canadian chain restaurant, is set to be demolished early next week as the City makes room for a gigantic, nearly bottomless pit. Pita Pit, which sat between H & R Block and Northland Fur Studio, closed June 15th. Since its closure, the City has purchased the Main St. property. Once demolished, North Bay City crews will work “24 hours a day” for three weeks to dig a nearly 30 foot round crater on the Pita Pit’s former location. But the City isn’t looking for buried gold or to strike oil. In fact, following its completion, the cavernous pit will be left completely open to the public. Loman wouldn’t say why a 30 foot wide hellhole was being left open to the public on Main St., but he did say that some signage might appear in the next few weeks if the “desired outcome” hadn’t arrived.